My name is Daniel and I have been at Orange for nearly four and a half years, when you put it like that it sounds like a prison sentence! Over the years I have had the pleasure of sitting down and chatting to a lot of artists in my role of European Artist Relations at Orange. A lot of these artists I have grown up listening to, which is I am very much aware i’m in a very lucky position. So i thought I would go through a few of my favourite interviews and some of the background to them. I have been a fan of Rage Against the Machine for as long as I can remember, I saw them and nearly died in the pit at Reading Festival 2008 and it is still one of the best shows I have ever seen. So when there was a chance to interview Tim from Prophets of Rage I jumped at the chance, we were in the artist area of Download Festival in 2017 and managed to get 10 mins of Tim’s time. Tim was a gentleman and complete professional, speaking with real enthusiasm about his style of finger playing and how he feels the advent of YouTube is helping to teach new players. What also made me really enjoy his interview was how even after lots of years in the industry he still enjoyed played music in a band. Shortly after interview I got to see the band destroy the Main Stage at the festival and saw how the band hasn’t lost any of its original groove when Tim and Brad lock in. The fact that Tim uses an AD200 live is for me one of best bass players we have on our roster. I drove all the way to Nottingham for this interview… or it could have been Birmingham, any way it wasn’t in the warmth of London. But it was worth it, to sit down and chat with at the time, our newest endorsee Brian from Korn. Brian had just started to play the Rockerverb MKIII Head, after his guitar tech had come and chatted to us at festival the year before. 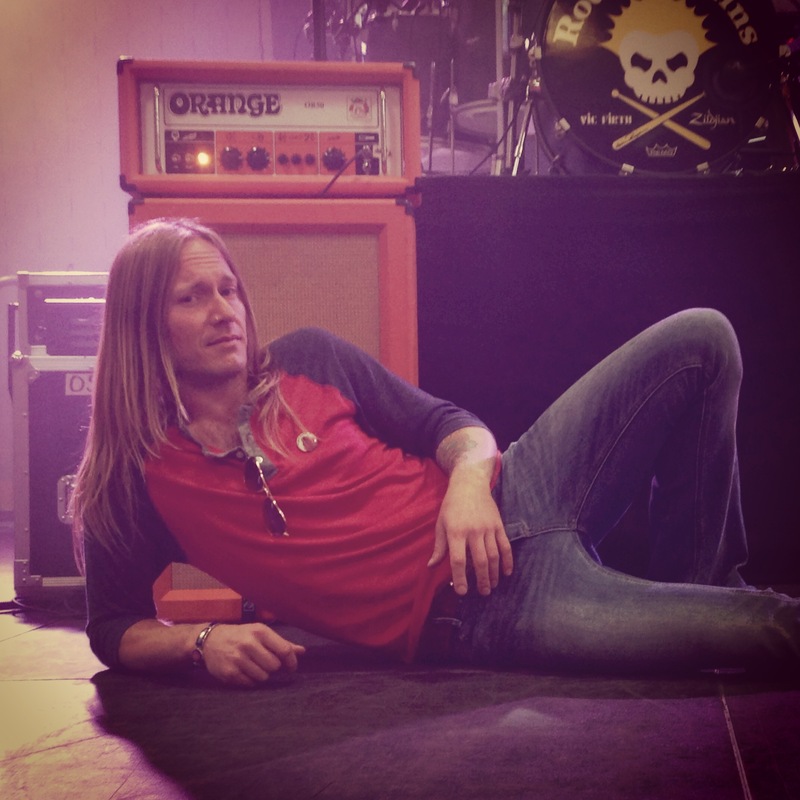 The Rockerverb was in Brian’s rig and I enjoyed hearing how he called it a ‘Buttery tone’ and also how the band unknown to all of us at Orange has been using our gear since the early 90’s on their records. Jim Root gets an honourable mention as well from Brian and not only was the interview great to shoot but the show was so much fun. Perfect lighting for footage and I was able to get some great live shots. Not only this but the band were playing on a bill with ‘Madball’ and ‘Limp Bizkit’ which is enough of a reason to drive wherever in the UK to go see. Pepper has been a guitarist I have followed through his many different bands and projects, I have always felt that for me, COC was the pinnacle of his work. When he rejoined a few years ago, I straight away bought tickets to the show at the Electric Ballroom as I couldn’t miss it. With Orange and my previous employment, I have on and off worked with Pepper but finally I got to interview him properly just last year when the band came into town. You always know with Pepper you will get a great interview and his description in previous interviews of Orange amps being like “petting a snake” has always made me laugh. In this interview you can really see his love for Orange, which I can honestly say was done with minimal prompting, I really only needed to ask “what do you think of Orange?” and leave the camera rolling and he waxed lyrical! 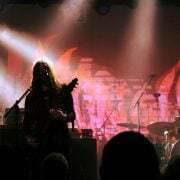 This was a very last minute interview request, i remember being asked if I was able to get down to Kentish Town to chat to Matt Pike, well I really couldn’t say no! Within a couple of hours i was one of the only people in an empty Kentish Town forum (capacity of 2.5K people) hearing Sleep soundcheck. 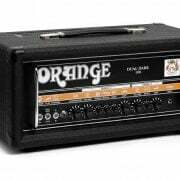 It is still one of the loudest things I have ever heard, I was stood in front a wall of Orange amps being cranked, while Matt was shredding. After I had recovered, I got to chat to Matt about exactly how he controls that amount of noise. His understanding of guitar frequencies and feedback was one of the most interesting points of the interview, he spoke for at least 10 minutes about bringing different amps in to the mix and how they can be used to project different frequencies. Thinking back on it there is still so much from this interview I wasn’t able to put into the edit. The band show that night was a masterpiece in stoner rock and left the whole building shaking. It’s still one of my favourite video interviews I have ever done, due to me being personally incredibly interested in the thought process of building massive amp rigs. Jim Root has been a guitar player I have been listening to since Slipknot’s first album and when he strolled into the portacabin at Download I was knocked back how friendly and funny he was but also how whatever amp he plugged into it, sounded exactly like the record. He was coming in to try the new Rockerverb 100 MKIII that had just been released and sat down with one of his personal guitars and played for at least a ½ hour. Only stopping to tell me how earlier that week he had been jammin with Josh Homme by playing the classic ‘Better Living Through Chemistry’. Then came the interview and playthrough, which just became every Slipknot hit played note perfect. After the interview Jim was so enamored with the amplifier he took it to play that night in front of 120,000 people, what a way to try a new amp!! This is one of my favourite videos because one, it’s the most popular and two it’s not great quality (one shot is a phone camera!) but it still works. Jim’s playing is great and he speaks from the heart, we really need to film a new Jim Root video!! Honestly I think Deftones are one of my favorite bands, they combine so many different elements of music that I love and I feel have consistently made great albums from their first till latest release. 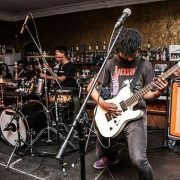 So being able to spend time chatting to them about gear, look at the their touring rig and sometimes see them rehearse for shows has been something that I have had to keep cool about during these times. I think this was either the second or third time I had shot Sergio and this was at the end of the day with the band while they were rehearsing before 2018’s Meltdown show at the Southbank in London. We spoke about his use of Orange in Deftones and Quicksand, Sergio also played through a few of his favourite bass lines from his career. The reason why this is one of my favourites is I think it came out really well, the day was long but throughout it all Sergio was fun and an utter pro about getting the right shots and sounds. 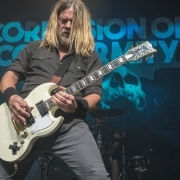 Interview: Pepper Keenan of Corrosion of Conformity. Sergio from Deftones and Quicksand discusses the Terror Bass.